IAMAG: First, can you speak a little about your role(s) on the film? 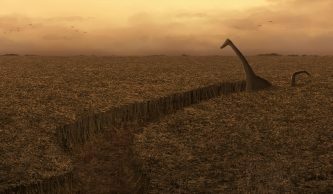 Neil Blevins : I started working on “The Good Dinosaur” in October 2010, first 1 year in the art dept doing 3d visual development, followed by 2 years in the sets dept making assets for the film. After the film’s story got retooled, I worked another 2 years as a part of sets. In sets I did both modeling and shading, hundreds of trees, flowers, plants and rocks. IA: The Good Dinosaur is something we can call an epic project and I guess it’s an incredible experience to work on such movie. Can you explain what was, in your opinion, the main challenge? NB: There were two main challenges, at least from a sets perspective. First, the scope of the film, the environments were all outdoors, so in almost every shot you would see for miles and miles. And all of that space needed to be filled with stuff. And second was story changes, due to the story getting refined there was a lot of fantastic material and work that didn’t make it into the final cut. 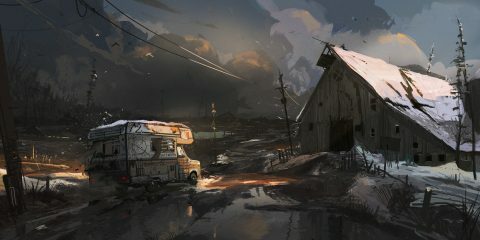 IA: Looks like Pixar motivation was to to have emotional landscapes and unify the nature with the all characters. How did this effect the way props were designed? NB: Well, at Pixar the design and implementation of anything has to go with the story. So if it’s a scary moment, the trees need to be more spikey. If it’s a tense moment, the colors need to be more desaturated! The big difference with this film is we had no villain, the harshness of the environment was the villain, so the environments got a lot more screen time (many times without even the characters being on screen) and as such needed to express the emotion more than ever before. IA: How did you interact with the set dressers and how did rendering performance influence your way of building parts of the nature before going massive ? NB: A lot of procedural modeling was used. The technology and artists who worked on the moss from Brave really brought everything to the next level on this film. A lot of the grass, moss, small flowers, background rock, etc you see are all procedurally generated from mathematical primitives. The stuff close to camera was modeled and shaded using a more traditional pipeline, but anything that appeared millions of times in a frame needed to be procedural, so a lot of time was spent refining that pipeline. For those of us making hero assets, we’d make highres stuff, then the set dressers would place them into the sets, and paint maps that drive the procedural vegetation, helping seat the high res work into the world. 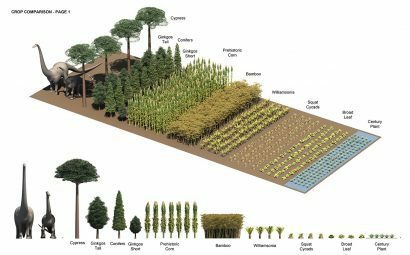 IA: How does the plants, landscapes have evolved since the first 3D concepts ? In what ways ? 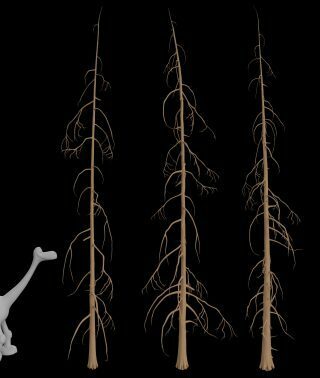 NB: So first off, in the beginning the dinosaurs were far larger than they ended up being in the film, so there was a lot of time looking into what sort of plants to use. 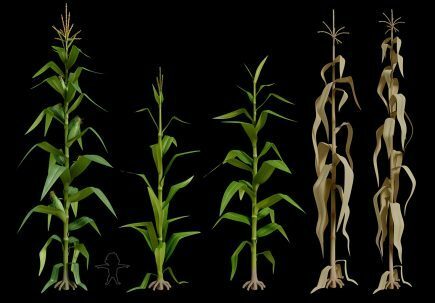 At first we started doing more prehistoric looking plants, like we always had a farm with corn, but the original corn designs were far larger and more wild looking. Then the dinosaurs started getting smaller, and the decision was made to make the plants more real world. The hope was to make the landscape a little more relatable to the audience. IA: Can you speak about all the perspective problems and how the whole different points of view ( from dinosaurs or Arlo ) have been tested during the first tests to the final version? NB: So again, since the dinosaurs were so much bigger, we had a major scale issue. 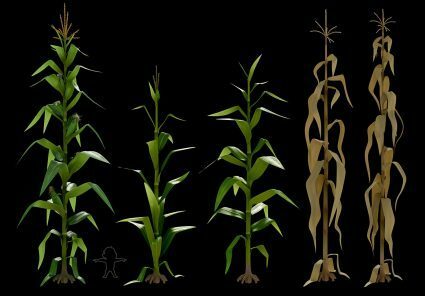 From the dinosaurs perspective, we wanted something that looked like corn. But when the same plant was seen by spot, it would look like a tree! Also, we wanted to make sure that the humans didn’t seem like they were 2 inches tall. We wanted the humans to feel normal sized, and the dinosaurs to feel huge, and not the dinosaurs to feel normal and the humans to feel tiny. It was a difficult balancing act to achieve. 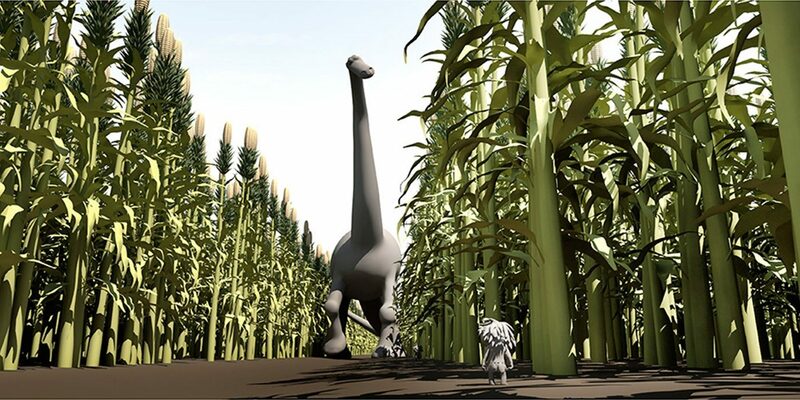 We did early tests where for example, we’d have a bamboo forest from Spot’s perspective, but when you went to dinosaur scale, it looked like fields of wheat. 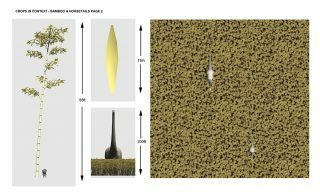 And we’d try to place tons of human scale plants near the base of the giant dinosaur scale plants to help the world seem the correct scale. Even leaf scale was an issue, we didn’t want to leaves too large or they’d look silly beside a human, but if we made them to small, they’d look wrong beside a dinosaur. Difficulties with this scale balancing act was also a reason the dinos got smaller for the final film. IA: You also have worked on some shaders. Do you work with the lighting department to test your shaders and models ? NB: We have lighting rigs that are meant to mimic the general lighting from the film, and then we test our work in those rigs. You want to avoid shading anything too specific to a particular lighting setup because then it’ll look wrong if the lighting changes or if the same prop gets used in a number of different sets at different times of days. So we try to come up with something that’s as real world white light as possible. IA: Is it possible to have some details about the pipeline with the different group you’re working with ? 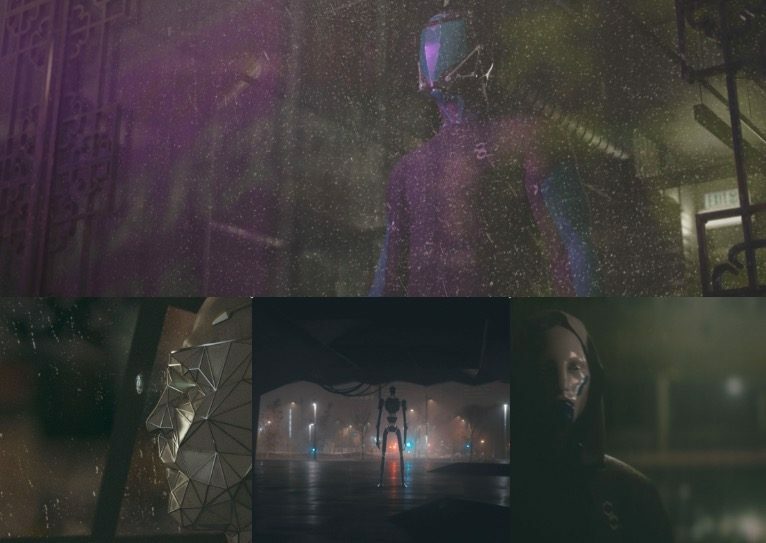 NB: In the early 3d visual development part, you could use whatever software or pipeline you wanted, since the only goal was to create imagery to help inform the designs of the film. 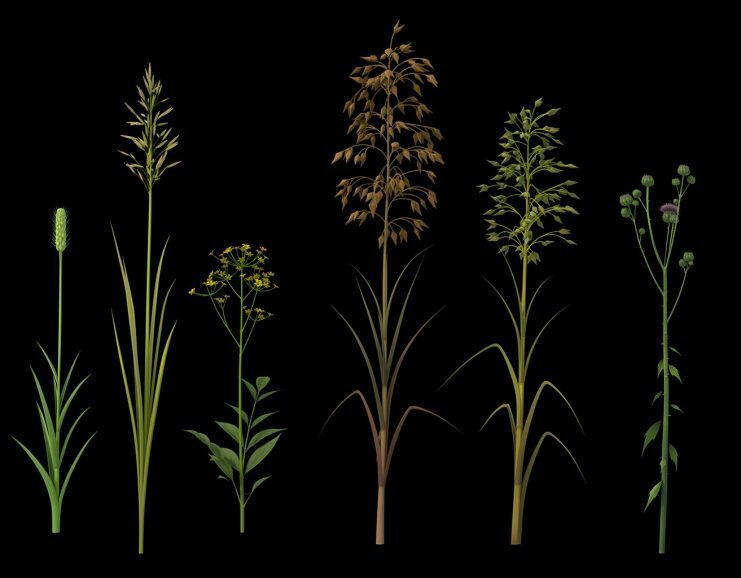 At the modeling stage, the majority of the team uses maya for modeling, but plenty of other 3rd party software is used here and there such as mudbox, and of course a lot of stuff written in house, especially for the procedural plants. For shading we used slim and prman, and a number of different 3d paint packages from mari to mudbox to disney’s paint3d. IA: You’ve worked on a lot of different movies at Pixar. In what ways The Good Dinosaur is for you a new step for Pixar ? NB: Our films I believe have always had a focus on story, so the real progression has been more technical and artistic, being able to add so much extra detail and richness. And this film really pushes that to an extreme. IA: There are always a lot of discussions about what’s Art and what’s Technology and what’s the right balance in a movie. What’s your thoughts about this subject ? NB: The technology should be about supporting the Art. And the art should be about supporting the story. Its as simple as that in my opinion. IA: If you’ve something very personal to say about this movie, what would it be ? NB: When I was 6 years old, I drew a giant mural in kindergarden of Dinosaurs using crayons. I have a photo of me sitting in front of the mural, and when I started working on the film, I put a photocopy of this photo on my wall, as a reminder to myself that that 6 year old boy wanted nothing else than to draw dinosaurs. Well I got my chance 30 years later, it was a lot harder than I had expected, but I’m so glad audiences are enjoying the result. NB: I’d like to give a huge thank you to both the art and sets department on the film. I got pretty sick during the middle of production and sets stepped up and helped me in my recovery, giving me the time and support I needed to get better, and I will never forget that kindness. 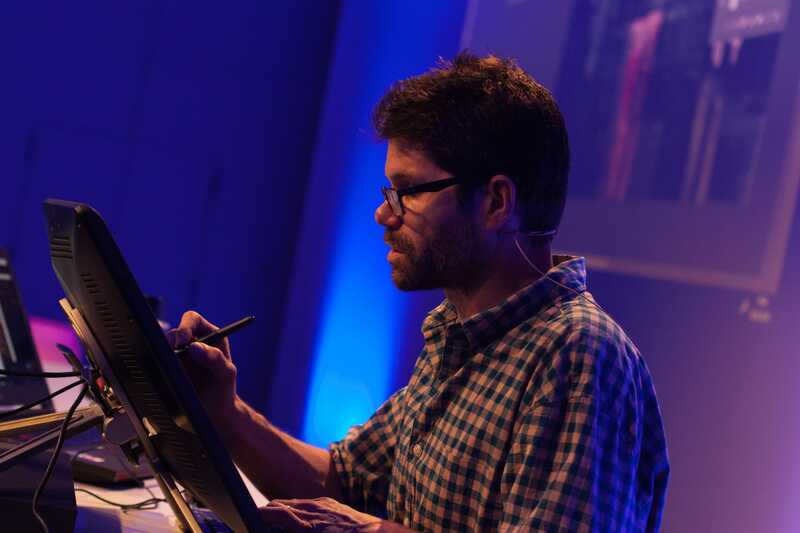 The team of people who I work with at Pixar are not only super talented, but really nice and helpful. One of the greatest things about Pixar are the people, and that’s one the reasons I keep coming back for more. So a huge thanks to the team!